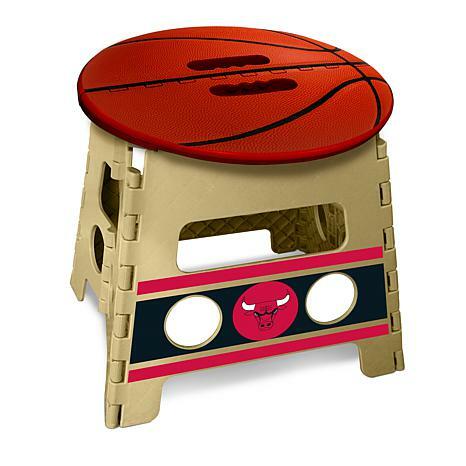 Give your team pride a boost with this officially licensed Step Stool by Sports Licensing Solutions! Made from plastic, it's light enough to move or carry but strong enough to hold 250 lbs. It's perfect for working around the house as well as for tailgating. The front and back panels feature your favorite team's colors and logo, and the top of the stool is shaped like a basketball. And, when it's not in use, it folds almost flat for easy storage.